All-out attack. 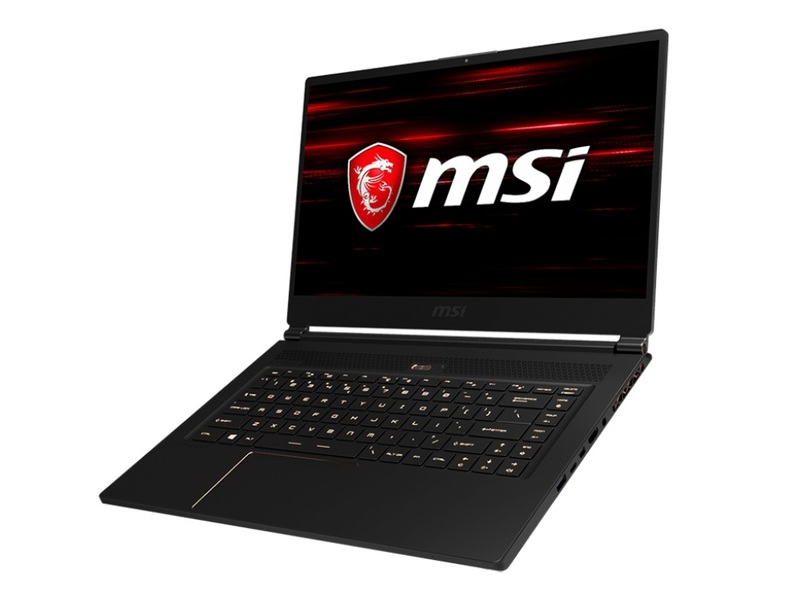 With the GS65, MSI has released an uncompromising opponent to the Gigabyte Aero 15X. The GS65 is a 15-inch gaming notebook that impresses us with its combination of outstanding hardware housed in an ultra-thin and lightweight case, just like its main competitor. Who will win out in this battle between gaming notebooks? It's for those who prize both mobility and performance, and that's a combination that isn't going to be cheap. Still, if you've the cash for it, the MSI GS65 Stealth Thin definitely deserves your consideration. With gaming performance from an Ultrabook form factor, this is the on-the-go gamer's dream machine. Tally up all of the GS65’s wins and it’s hard to find a better laptop that combines portability, power, and general usability, while still maintaining the ability to power through basically any AAA game you throw at it. And while it’s not the least expensive option in this group, it’s still hundreds of dollars less than a comparably equipped Razer Blade. The MSI GS65 Stealth Thin recently hit our retail channels and you can get the top-end 8RF edition for S$3,799 that comes with a GeForce GTX 1070 Max-Q and a 512GB NVMe SSD. The 8RE goes for S$3,199 and only differs by the GPU and storage amount with a GeForce GTX 1060 and 256GB NVMe SSD. The MSI GS65 has it where it counts in many ways. It looks a whole heck of a lot nicer than the previous MSI models, it gets a nice IPS 144 Hz screen with tiny bezels, a better keyboard and powerful hardware that actually performs well, with some tweaking. On the other hand, there are two big faults with the machine and that’s the build quality and the cooling system, which can be corrected to some extent. Read on for the whole story. We're only just seeing the first of a new wave of slim and light gaming laptops that don't have to compromise much on performance. Sure, these will cost and arm and a leg initially, but so do standard gaming laptops. We hope that over time, they will become a lot more affordable. Positive: Compact size; stylish design; metal case; great built quality; powerful hardware. Positive: Compact size; light weight; powerful processor; large screen; nice display; high autonomy; comfortable keyboard. Negative: High price; mediocre speakers; no card reader. Positive: Compact size; light weight; elegant design; comfortable keyboard; nice display; high mobility; silent system. Negative: No G-Sync; no SD player. Positive: High performance; nice display; beautiful design; solid workmanship; compact size; light weight; good cooling and silent system. Negative: Low autonomy; weak hardware. Positive: Slim size; nice display; elegant design. Negative: Noisy under loads. Positive: High mobility; nice gaming performance; decent hardware. Negative: Relatively high price. Positive: Compact design; great built quality; nice display; full connectivity. Negative: No card reader; overheats while playing games. Model: Gaming laptops and slim builds don't go hand-in-hand. Mainly, it's because of the size of the GPUs and also the number of the cooling fans that are needed to keep the laptop calm and cool during its operations. However, it looks like MSI has finally broken that barrier with their latest gaming laptop, the MSI GS65 8RF-019DE Stealth Thin. Like its name, the MSI GS65 8RF-019DE Stealth Thin is well, really thin. The fully-gaming capable laptop is pretty compact for the power it packs under its hood; it measures only 17.7 mm thin and weighs just 1.8 kg. This stealth thin laptop has a lightweight aluminum housing that uses Mg-Li alloy for increased stability. Next, let's take a look under the bonnet of the MSI GS65 8RF-019DE Stealth Thin. The slim and compact laptop runs on an i7 8750H processor with a generous 16 GB of RAM and a powerful GeForce GTX 1070 with 8 GB of GDDR5 VRAM. It also has a super fast 512 GB SSD as internal storage. The combination of the listed hardware is more than sufficient for the gamers to run all current and upcoming games in high or ultrahigh settings effortlessly. The Stealth Thin laptop also comes with a SteelSeries RGB keyboard that is fully-optimized for gamers. It is worth mentioning that the Stealth Thin also comes with a 15.6-inch 144 Hz Full HD display with a 7 ms response time. The fast response time gives the gamers the ability to play their games at 144 frames per second. The monitor also has thin bezels to give way to a larger surface area for display. The colors are vivid, and the color reproductions are also very accurate. As for build quality, even though the Stealth Thin is made from aluminum, the chassis feels more like plastic. While there is not much to complain about build quality, it is not perfect. Some parts of the laptop, like the keyboard and the touchpad, feel loose whenever pressure is applied. However, the overall look of the laptop screams nothing but luxury and premium. Other than that, the laptop comes with three USB 3.1 Gen2 ports, an HDMI port, a Thunderbolt port, a Mini DisplayPort, a Kensington Lock and separate headphone and mic jacks. The Stealth Thin also deals with heat very efficiently. The cooling system has three fans and four heat pipes, and the heat management is pretty good overall. There is little doubt that the MSI GS65 8RF-019DE Stealth Thin is one of the most impressive gaming laptops out there. Besides the obvious powerful hardware that it packs, and contrary to the traditional outrageously-designed bulky gaming laptops, the subtle and minimalistic design of the Stealth Thin gives it an edge with gamers who also want to use their laptops for other use than gaming. NVIDIA GeForce GTX 1070 Max-Q: Efficient high end graphics card for thin and light laptops based on the same GP104 chip as the normal GTX 1070 for laptops but at slower clock speeds. Offers a approx. 15% lower performance but much lower power consumption. These graphics cards are able to play the latest and most demanding games in high resolutions and full detail settings with enabled Anti-Aliasing. » Further information can be found in our Comparison of Mobile Graphics Cards and the corresponding Benchmark List. 85.21%: This is a good rating above average. Nevertheless you should not forget, that 10-15% of all notebook-models get a better rating.